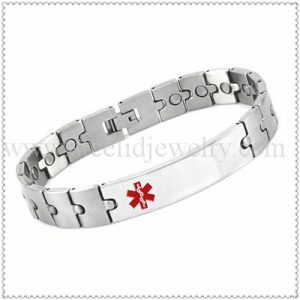 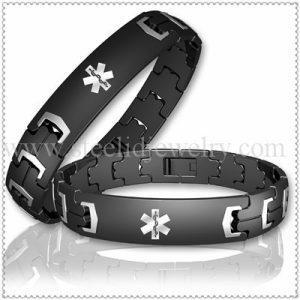 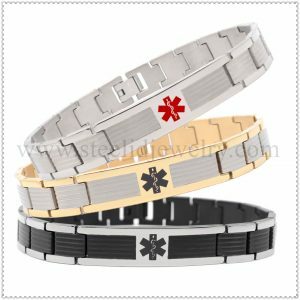 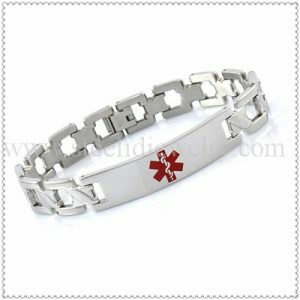 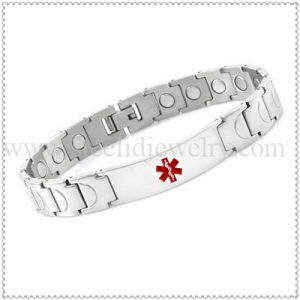 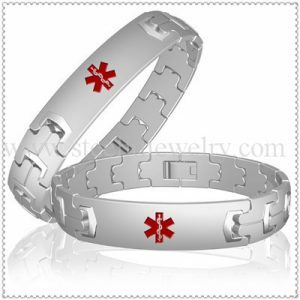 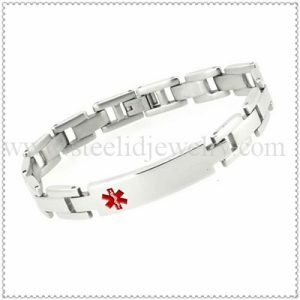 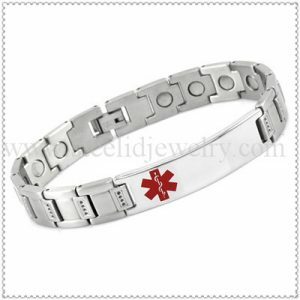 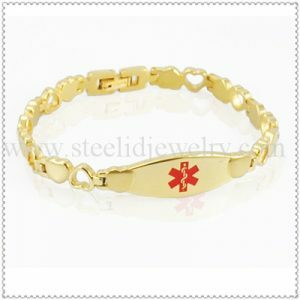 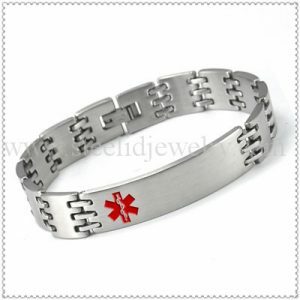 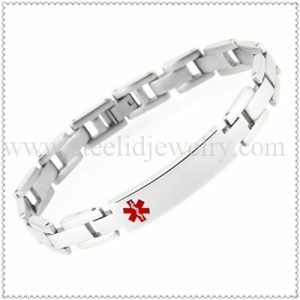 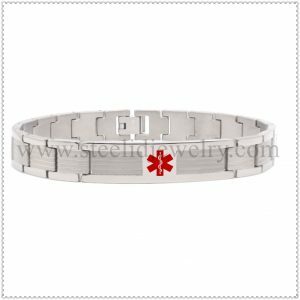 8mm width links with 42mm long medical id plate, 7″~8.5″ length, can be customized. 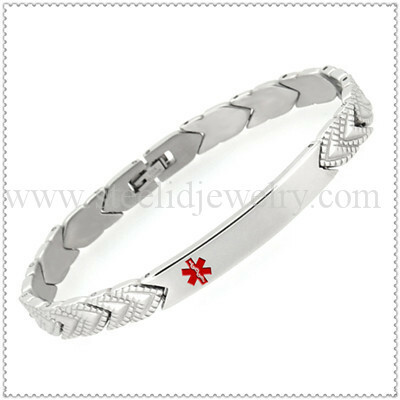 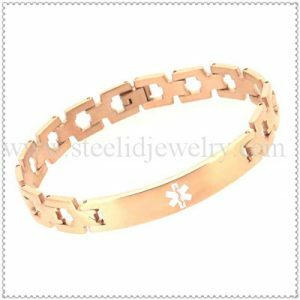 A slimline titanium engrave able bracelet with distinctive patterned links. 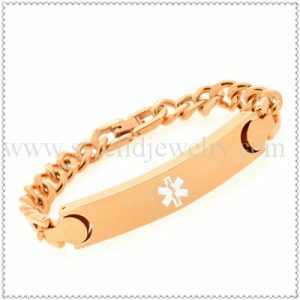 You can also buy this item without engraving. 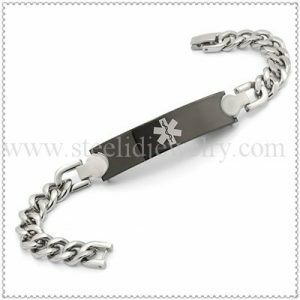 Length 7.5″~8.5″, can be adjustable for your wrist.